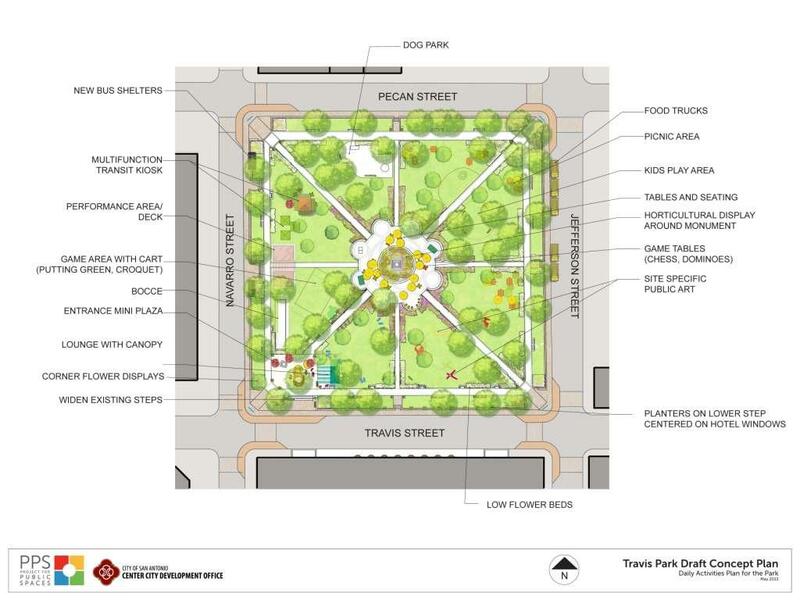 One of the oldest municipal parks in the country, Travis Park is poised to become a historic, vibrant place for San Antonio residents to gather. 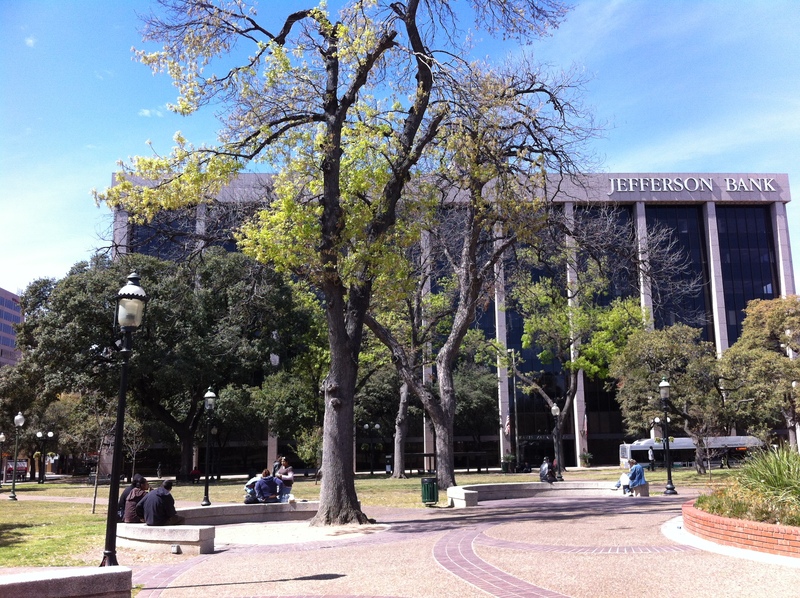 Nonetheless, Travis Park had a reputation as a place to pass through, rather than as a destination where one could linger. 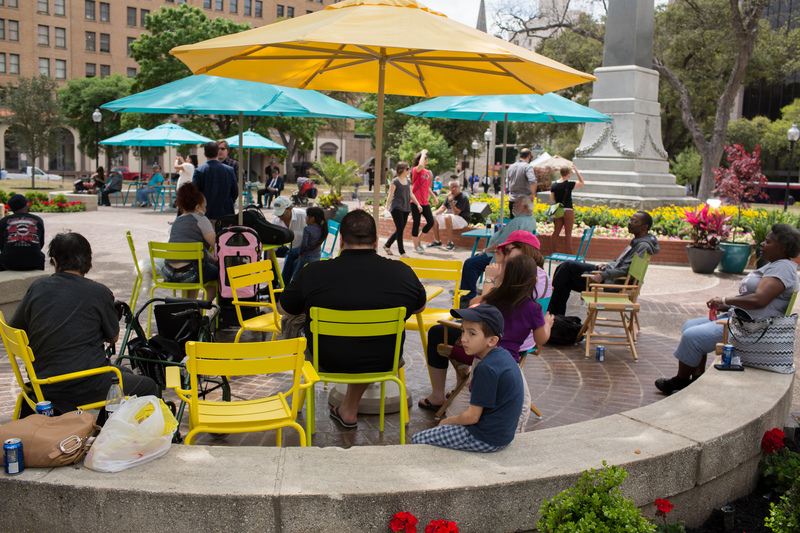 PPS and the Southwest Airlines Heart of the Community Program worked with the City of San Antonio’s Center City Development & Operations Department to change this narrative for Travis Park, making it a place that adds excitement to downtown San Antonio. PPS convened locals to create a vision for the park; one of a multi-use space, to be enjoyed by people of all ages. Based on feedback received during a series of public placemaking workshops, PPS brought new amenities to the space, including food trucks, umbrellas, movable tables and chairs, and ongoing public programming, such as fitness classes, historic tours, live music, free movies and game tournaments. 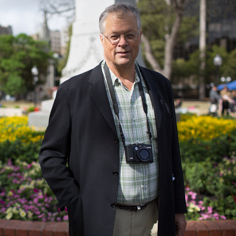 The grand re-opening of the space in March of 2014 also unveiled new book kiosks, giant chess sets, and other games to attract users at all times of the day. 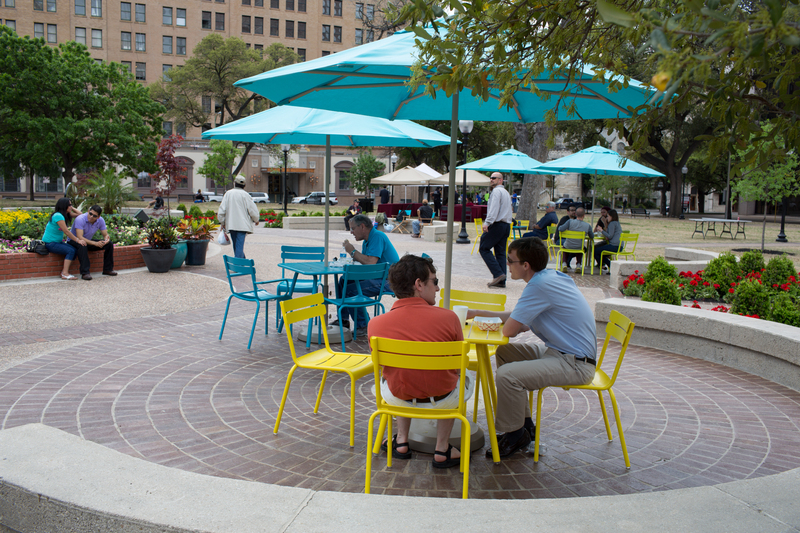 These placemaking projects in the park have sparked a number of additional improvement projects to enhance users’ experience, and strengthened the identity of downtown San Antonio. Moveable chairs and umbrellas give people shady, comfortable places to sit throughout the park. 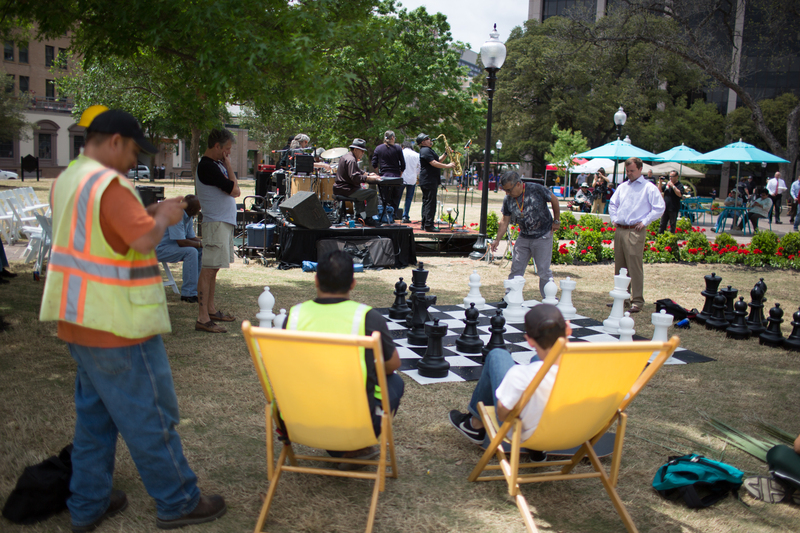 Giant chess and programming, including fitness classes and free movies, draw people to a once-underused space. 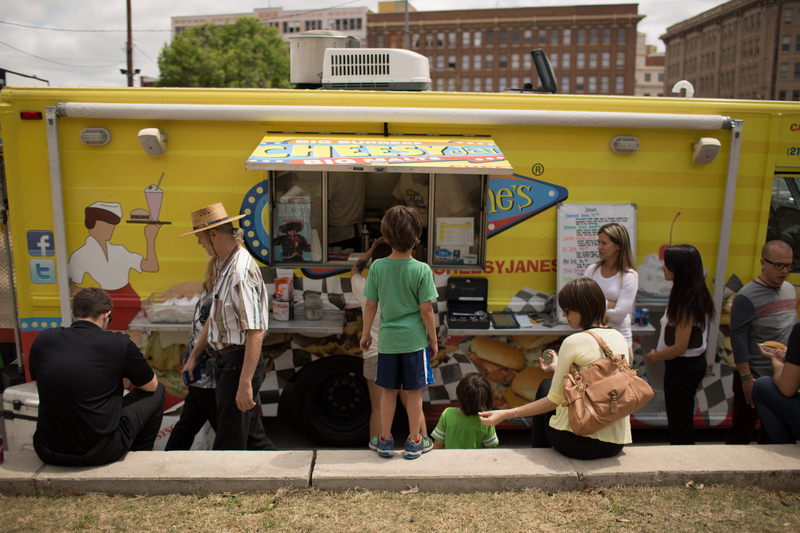 Food trucks add to the park's appeal.